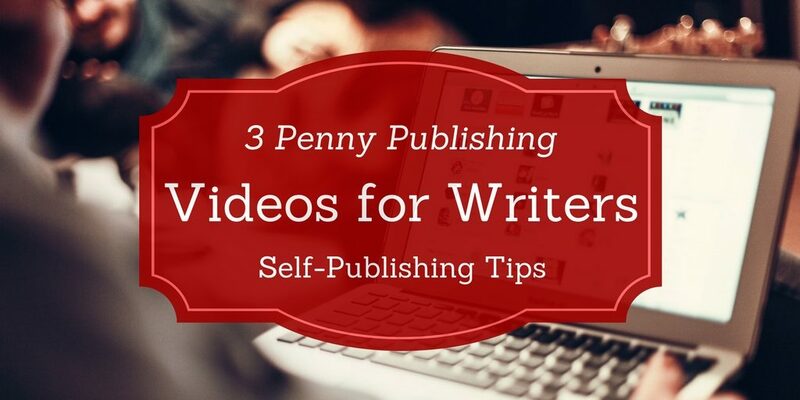 In the following videos, speakers at several 3 Penny Publishing workshops share their experiences as well as self-publishing, writing, and marketing tips. In addition, you can find more videos for writers on our Youtube channel. Rebecca Kennel is a non-fiction author who wrote and self-published Victoria Bench-by-Bench. She chose to self-publish because it gave her greater control over the entire process and, for her, it was easier than searching out a publisher. She made use of her wide range of skills to ensure her print book was meticulously edited, formatted, and designed. Her professional approach paid off when it came time to ask bookstores’ managers to carry her book. They were surprised to see a self-published book with such a high standard of quality and professional design. Subsequently, a large number of bookstores in Victoria carried her book. In addition, she made significant sales to local library branches. She achieved high sales largely due to three key ingredients: she had a quality print book; a local niche topic, and an energetic and organized marketing campaign. This included quality promotional materials. Her friendly approach to social media and in-person sales also played a key role in her success. She recommends to always carry copies of your book with you and don’t be afraid to pitch your book (but do this in an easy-going way without any hint of pushy sales talk). Unlike many self-published writers, she was not held back by discomfort with self-promotion and managed to do this with confidence and grace. She did have marketing and sales challenges, but she wasn’t conquered by them. Check out the two following videos to hear her speak on some of these topics. Grant McKenzie writes gripping, gritty, and fast-paced thriller novels that are now gaining international success. His career as a novelist began with newspaper journalism. He also served as editor of Monday Magazine in Victoria, BC, for several years. Bantam UK, Penguin Canada, Polis Books and Heyne Germany published his first novel. In addition, the anthology First Thrills, edited by best-selling author Lee Child, chose one of his short stories for publication. Despite the serious topics in his novels, he speaks about his writing journey with much humour and insight. As an author coach, Matthew Ashdown spoke at length with dozens of self-published authors. He noticed a pattern. Many writers had unrecognized barriers holding them back when it came time to promote and market their book. The following short video features highlights from a workshop where he shares insights on this topic. See more writing videos on our Youtube channel.